Study: Recall a time when you carried out a difficult command. What gave you strength? Pray: Is there a difficult situation facing you right now? Draw near to Christ in the Eucharist for wisdom and courage. Serve: Actions speak louder than words…so how can your actions today show others that Christ is your King? We conclude the Church’s liturgical calendar with this Feast in honor of our Lord. The title is one that speaks to a role that appears in history, literature, and culture: the KING. If Christ is the ruler of my life, then all my words and actions must align with Him. I turn to Christ for strength in my moments of powerlessness. I act on Christ’s commands, obeying His teaching and precepts. Forgive one another. Reread chapter 18 in Matthew’s gospel for a review. Come to Mass. Check out chapter 6 in John’s gospel, or Mt. 26:26-28. Love one another. Try John 15:12-17 for a refresher! Remember: the King commands us to forgive, receive Him in the Eucharist, and love one another. These are not suggestions, or helpful hints when we have free time! These are commands…and as we acknowledge that Jesus is our King we also know that we can draw near to the Lord for the strength and wisdom we need to carry them out. 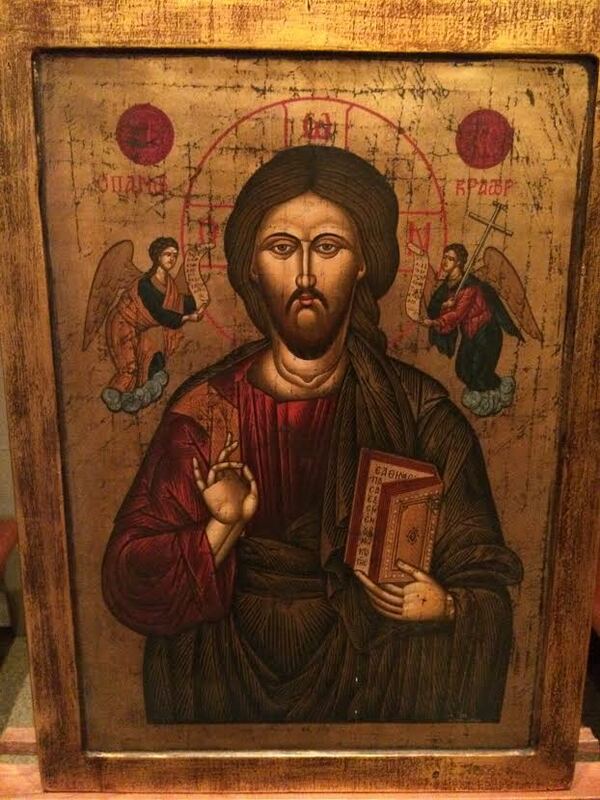 This icon of Christ Pantocrator is on loan to the Cathedral of Christ the King from Fr. Andrew Ricci. “Pantocrator” may be literally translated into “Ruler of All” or “Almighty” and it is an ancient way of depicting Jesus. Note: This post was first published on November 16, 2015. This entry was posted on Monday, November 19th, 2018 at 6:00 pm	and tagged with Catholic, Christ the King, Christ the King of the Universe, Christian, Inspiration, Jesus Christ, Mass and posted in Feasts & Solemnities. You can follow any responses to this entry through the RSS 2.0 feed.